Article and photos by Eric Hurwitz. Page created on August 29, 2017. Lee, Mass., seems more down-to-earth than many of the more popular travel destinations in the Berkshires of Western Massachusetts while having one of the most accessible mountain town locations. It seems to me that Lee doesn't necessarily think of itself as a travel destination although the town has great travel appeal and welcomes visitors in a most friendly way. I think that is the difference: Some Berkshire towns spend too much time telling us why they are great while Lee is just happy to humbly be itself. 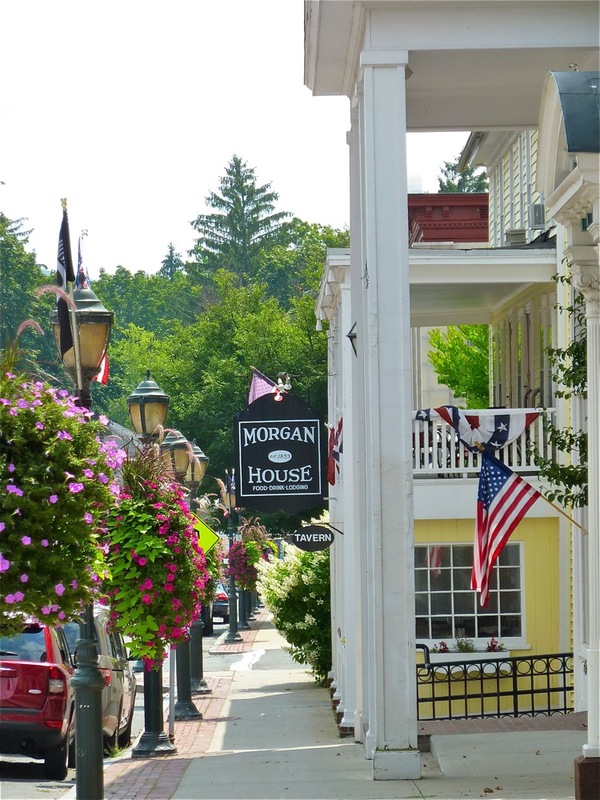 That's not to say, however, to skip the other towns as some of New England's greatest travel attractions and destinations can be found in the Berkshires. Lee should definitely be part of that mix, however, when traveling the Berkshires! With all that in mind, here are some great ways to enjoy visiting Lee... 1. It's right off the Mass Turnpike Two or three minutes off Route 90 lands you right in the heart of the downtown. That's the quickest drive to a major Berkshire town with plenty of things to see and do. 2. 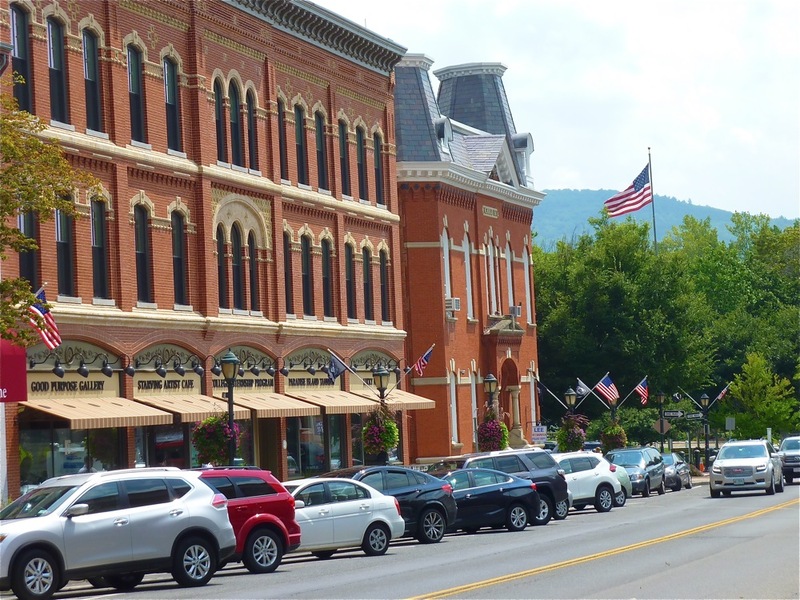 The downtown has a classic Main Street USA look Listed on the National Register of Historic Places, downtown Lee not only offers some beautiful historic municipal buildings and homes but a great mix of mom and pop shops, galleries, boutiques, restaurants, cafes, and coffee houses. There's also a real community pride in town with hanging flower baskets, plenty of events, and residents who frequent the town center more than most communities I have seen of this size. 3. Joe's Diner A classic diner if there ever was one, Joe's Diner, at 85 Center St., is unassuming in appearance with a plain "Joe's Diner" sign and an old-time Pepsi sign above, American flags in the window, a wooden bench and flowers near the entrance. Joe's Diner serves very good diner food at lower-than-usual diner prices. 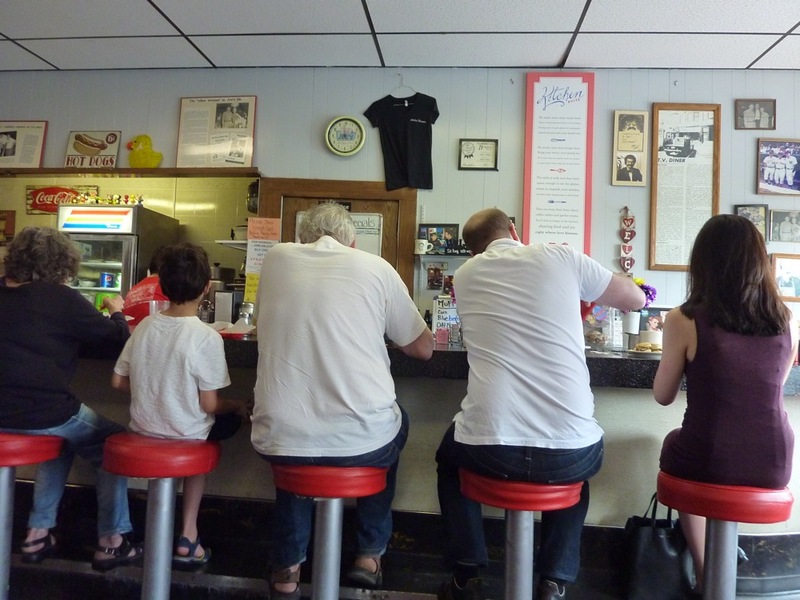 Whether breakfast, lunch, dinner or a slice of homemade pie, chances are your selection will taste much better than what you'd find at the highway service centers and the service is everything you'd expect in a diner -- friendly, quick and full of small town conversations with the locals. Most prominently, that famous Saturday Evening Post drawing known as The Runaway -- a friendly policeman talking with a small would-be runaway boy at a diner -- stands out from everything else on the wall, given its legendary pop culture status. Joe's Diner was reportedly an inspiration for that masterpiece painting! 5. Lee Library The original part of the Lee Library, at 100 Main St., dates back to 1907 and remains the only "Carnegie library" in the Berkshires. Lee Marble Works quarried and cut the marble used in the construction of the building, according to the Lee Library web site. The Lee Library has an impressive book selection for a small town and is a nice place to take in the quiet, charming ambiance of a historic library. 6. Sandy Beach at Lake Laurel Residents and guests of Lee go to this idyllic Berkshires beach located at 415 Laurel. St. off Route 20, for boating (boat ramp on route 20), fishing (in summer and winter), and swimming. The sandy beach offers picnic facilities. Call 413-243-2464 for seasonal hours. 7. Morgan House Located in downtown Lee, this historic inn and restaurant with a cozy tavern feeling for lunch and dinner has been serving the public since 1853 (first as a stagecoach stop). It has a beautiful look on Main St. that blends in perfectly with the charm of the center. 8. Farmers Market The Lee Farmers Market takes place on the beautiful town green in the downtown district and features some fabulous local produce, herbs, baked goods, honey, maple syrup, plants and meats. The scene is fabulous like something out of a Norman Rockwell painting, which makes sense: the aforementioned Rockwell loved to paint in this beautiful small town! Like this article on Lee, Mass.? Share it on Pinterest! 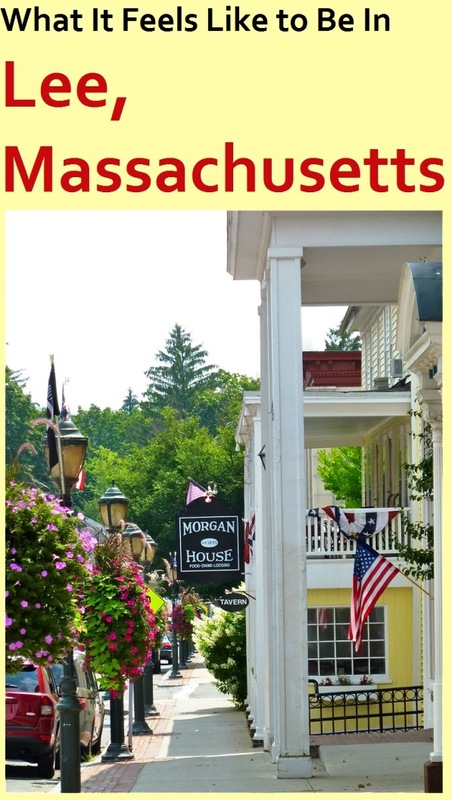 Massachusetts Town Greens -- Discover New England's first travel attractions: town commons (includes a chapter on West Brookfield!